← Why Was Heinlein So Wrong? 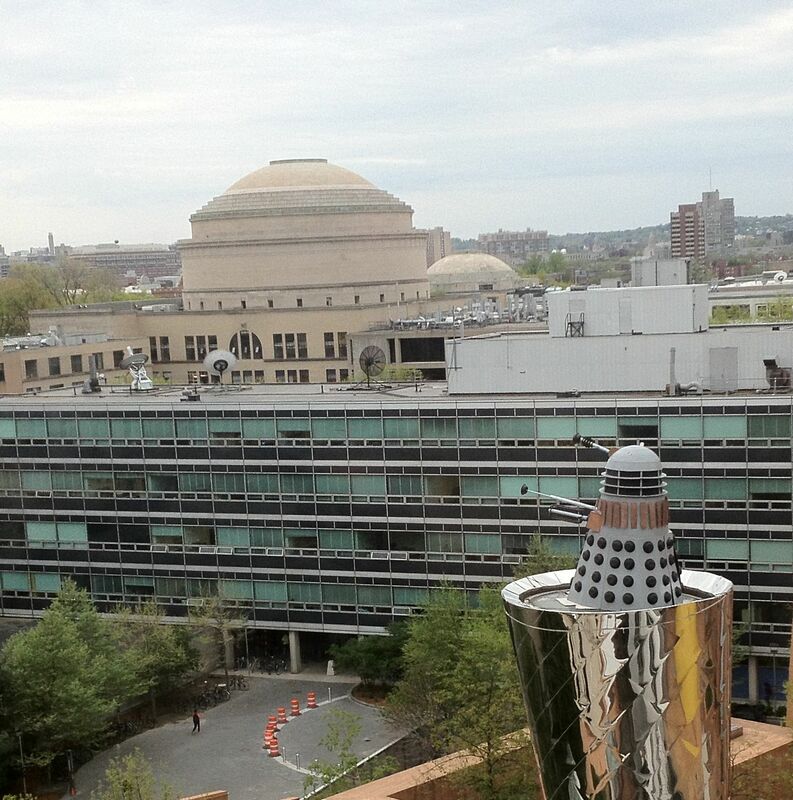 Yes, that’s a Dalek triumphantly shaking its blasters at the MIT sky line. The silver column it’s sitting on is not a custom-made dais for a race of evil galactic mutants – it’s part of the Gehry-designed building. It’s been up for nine days now, according to the Hack Gallery, but doesn’t seem to have drawn a lot of attention. 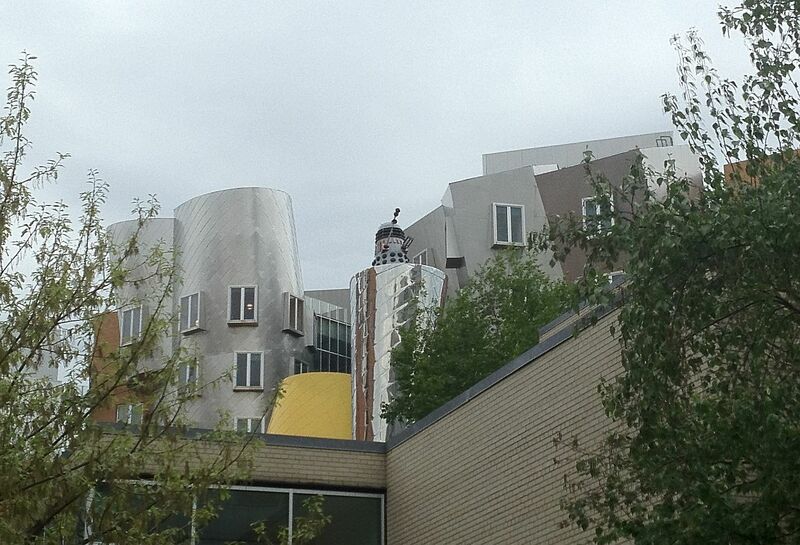 Perhaps evil mutants and odd Frank Gehry buildings are a natural combination, or perhaps there are so many strange things on the rooftops of MIT that few have noticed. I was too far away to hear if it was crying “Exterminate!” or maybe it’s just waiting for Doctor Who. The TARDIS has been sighted here recently, so perhaps the Doctor is curious about this quaint school of ancient and primitive technology. This entry was posted in Uncategorized and tagged mit-ish, sf-ish. Bookmark the permalink. They always seem to amuse and amaze with these hacks. I can’t wait until someone ducktapes laser pointers to each of the “guns” and takes photos of it while in a fog bank. That would look amazing!